Did you know that meerkats have complex alarm calls? Related to mongooses, meerkats (Suricata suricatta) live in colonies in southern Africa where their biggest enemies are jackals and eagles. Because they’re highly social they warn each other when danger is near. They even have special sounds to describe the source and threat level for each danger — combinations of “danger from the ground” or “danger in the air” with low, medium and high threat levels. In this BBC Earth video, scientist Marta Manser tests the meerkats under various threat conditions. Everything goes as planned until she tests for “danger from the air!” by presenting them with a taxidermy jackal arriving by balloon. 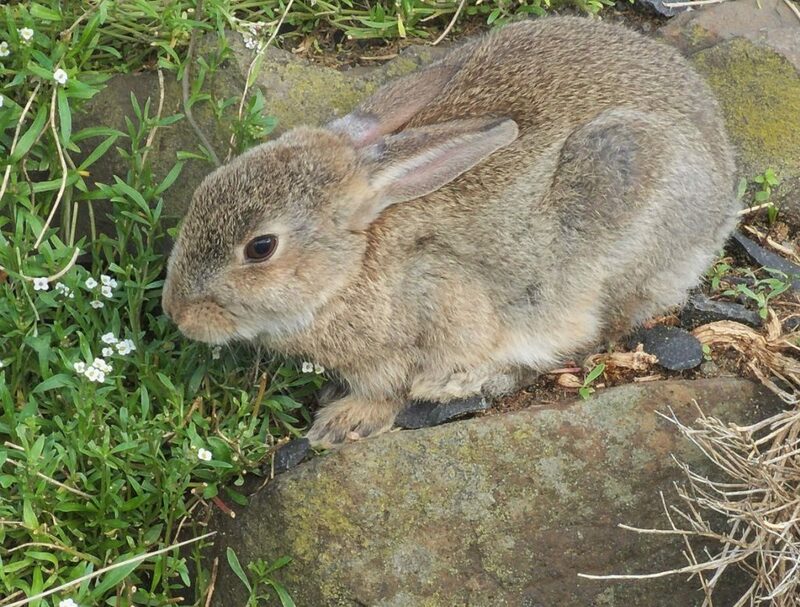 You would not think that something this cute could be a problem but European rabbits (Oryctolagus cuniculus) have plagued Australia for 160 years. After a century of recurring population explosions (think “plagues of locusts”!) scientists found a virus that kills only European rabbits. They introduced it in 1950 and it worked amazingly well for a while but the rabbit and the virus both evolved. Here’s their story. 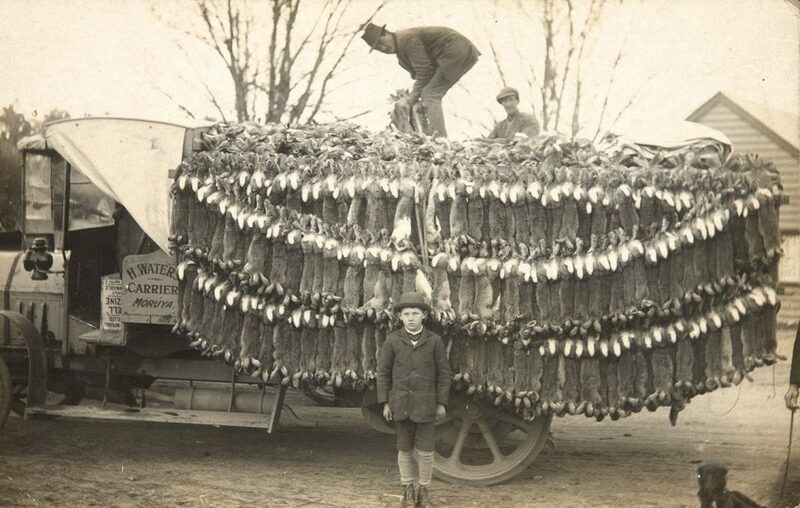 Introduced for hunting in Geelong, Australia in 1859, the European rabbit immediately went feral and the population went out of control. Without any predators they covered most of the continent by 1910. 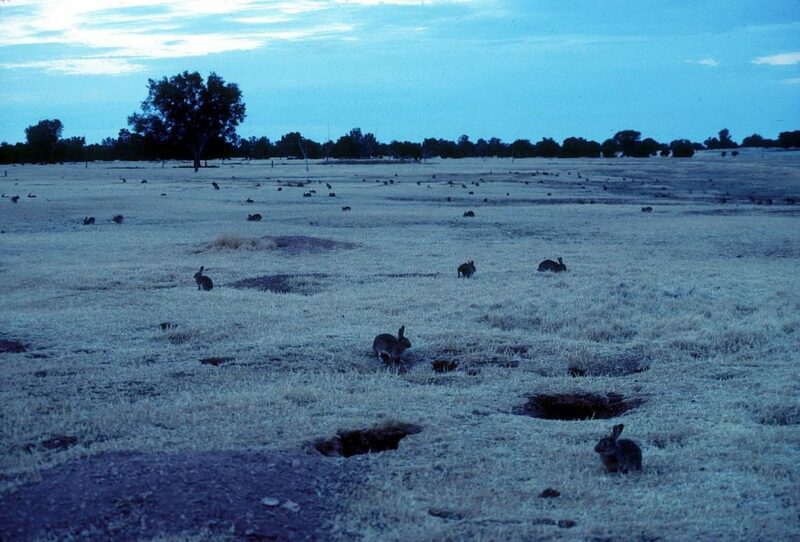 Periodic population explosions, called rabbit plagues, became the norm. The rabbits eat everything. They devastate native plants, push out native animals, denude the countryside and cause dust bowls. In the photo below, at dusk, they are everywhere but probably not a plague yet since there’s still some grass. Hunting and poisoning were ineffective. Then in 1950 scientists found a virus in South America, called myxoma, that killed European rabbits. They released it in Australia (and in France) and it cut the rabbit population by 99%. Wow! Rabbits on two continents evolved the same genetic changes to beat back the virus—before the virus itself changed and regained the upper hand. […and…] In the 1970s the virus developed a greater ability to suppress the rabbit’s immune responses. That change, as well as the natural emergence of another rabbit-killing virus, has caused populations to decline again. Don’t worry about the rabbits. They had another population explosion in 2004. At last count there are about 200,000,000 of them in Australia. 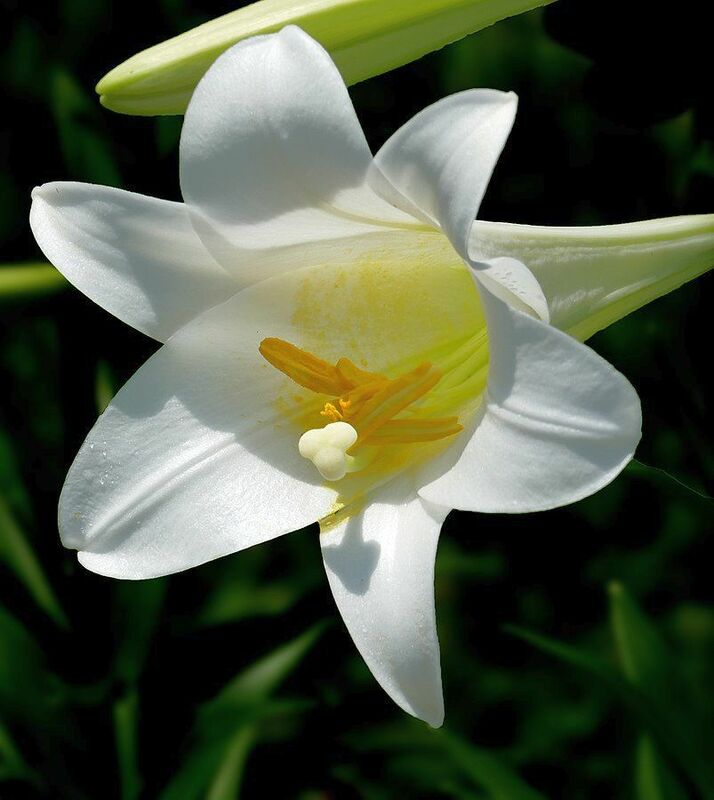 For more information, read “Seventy years ago, humans unleashed a killer virus on rabbits. Here’s how they beat it” by Elizabeth Pennisi in Science Magazine. January-to-February is mating time for red foxes in Pennsylvania and the Mid-Atlantic region. Red foxes pair for life. They remain together from midwinter through summer. In autumn the foxes are solitary but reunite in winter for mating in January or February. 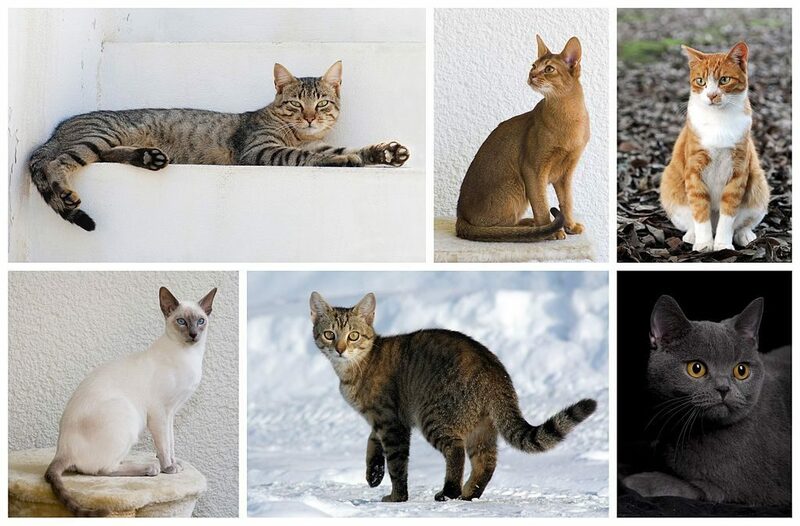 Following a period of about 51 days, four to six young are born in late March or early April. 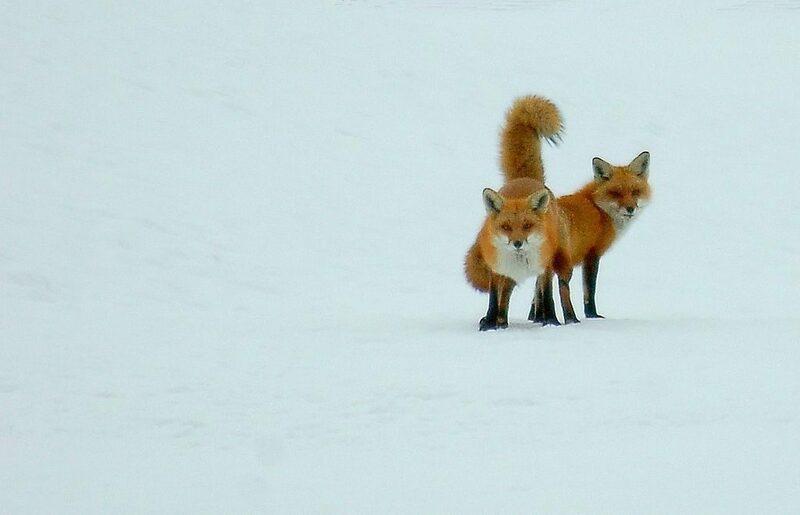 People usually don’t see foxes mating but Carly Lesser & Art Drauglis came upon this pair in January 2013 at Hain’s Point Golf Course in Washington, DC. Click here for another photo and scroll down to read the description. If foxes mate in January, they have kits in March. When January 21 is the third Monday of the month, an unofficial celebration falls on Martin Luther King Jr. Day (3rd Monday in January). 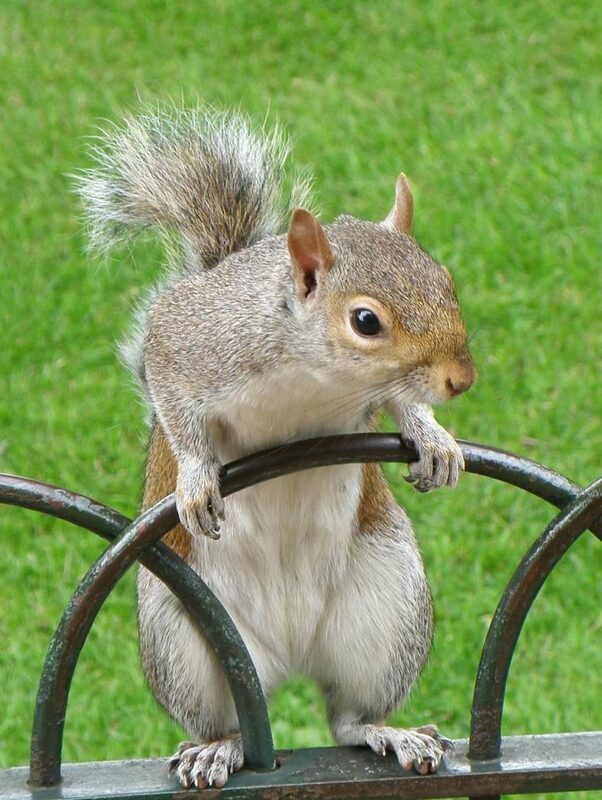 Today is also Squirrel Appreciation Day (January 21). We have four native squirrels in western Pennsylvania: Gray squirrel, fox squirrel, red squirrel, southern flying squirrel. Black squirrels are actually gray squirrels with black fur. Gray squirrels are brownish in summer and turn grayer in winter. The ancestors of South American squirrels came from North America, walking across the isthmus of Panama. Squirrels are cute when they aren’t destroying bird feeders. Squirrels unwittingly plant trees when they bury acorns. Learn more in this video by Joe Stavish at Tree Pittsburgh. 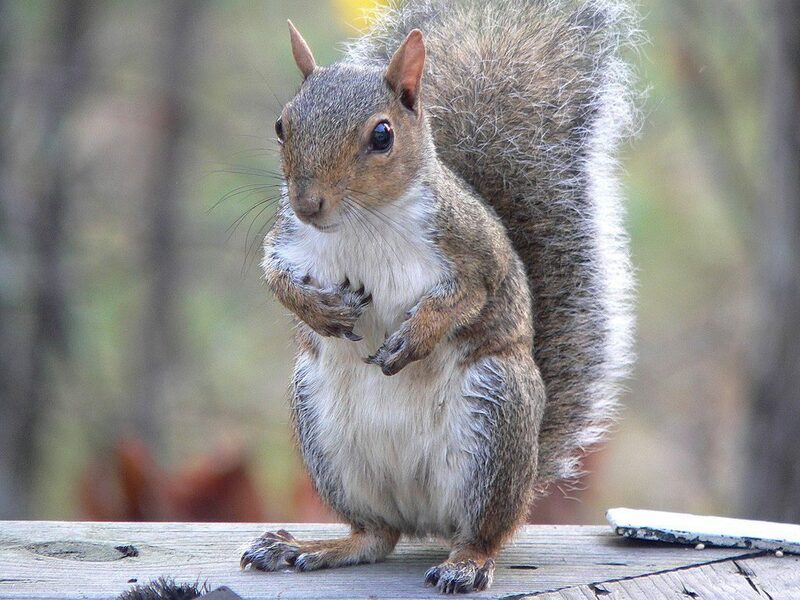 How shall we celebrate Squirrel Appreciation Day? This one suggests that we give him a handout. Pittsburgh’s squirrels will be grateful for extra food today. It was 2 degrees F this morning! Last Saturday I tried to enjoy the Sunken Garden Trail at Moraine State Park but there were challenges along the way. 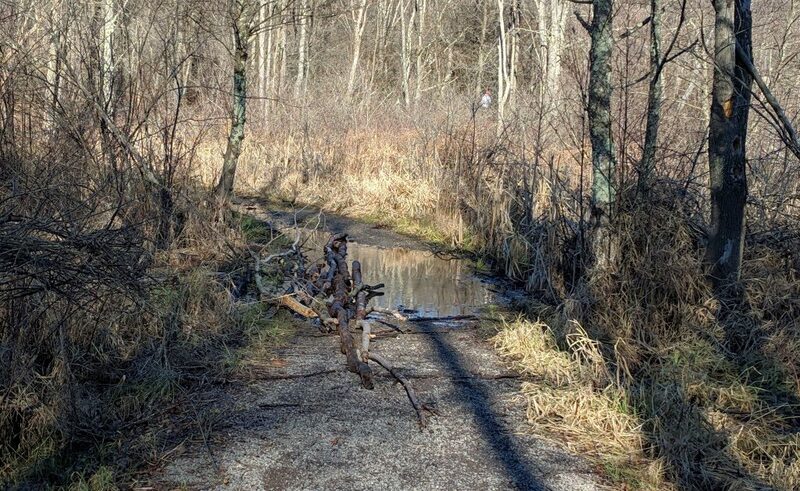 The trail was very soggy, trees were down on the Short Loop, and part of the trail was under a few inches of water. 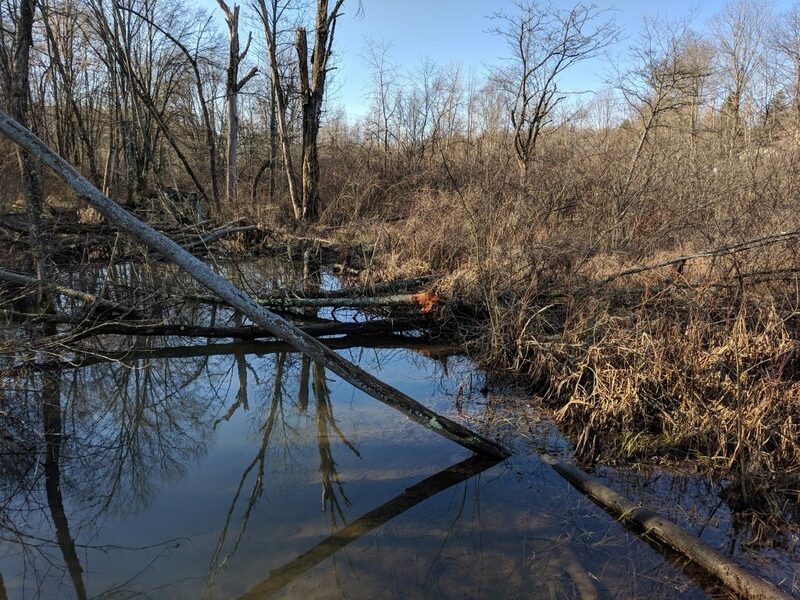 The flood is the work of beavers who backed up water in the wetlands (above) about 600 feet from the trail entrance (below). The Sunken Garden Trail is truly sunken here. Fortunately ankle-high muck boots were more than enough to keep me dry. Be prepared for mud in this winter’s warm weather. And watch out for black-legged ticks. I got one on my pants after I bushwhacked around downed trees. They’re moving around out there, though in slow motion. 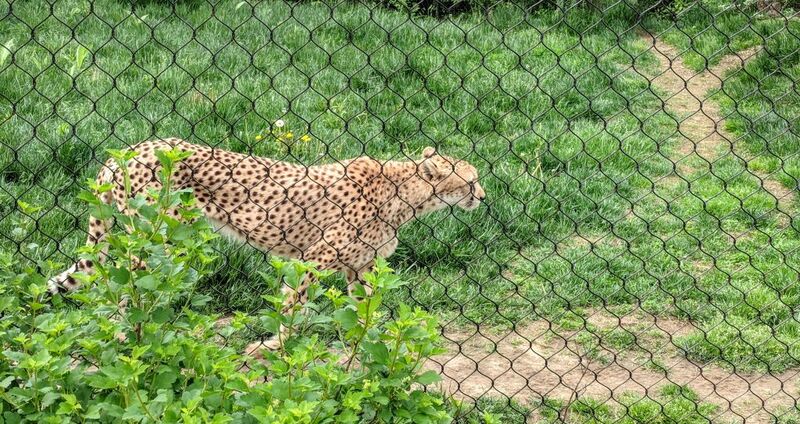 When my husband and I visited the Pittsburgh Zoo last spring we stopped by the cheetah exhibit to watch these graceful cats and learn about them from the zoo’s cheetah experts. We were amazed to find out that cheetahs like perfume. It keeps them from being bored. 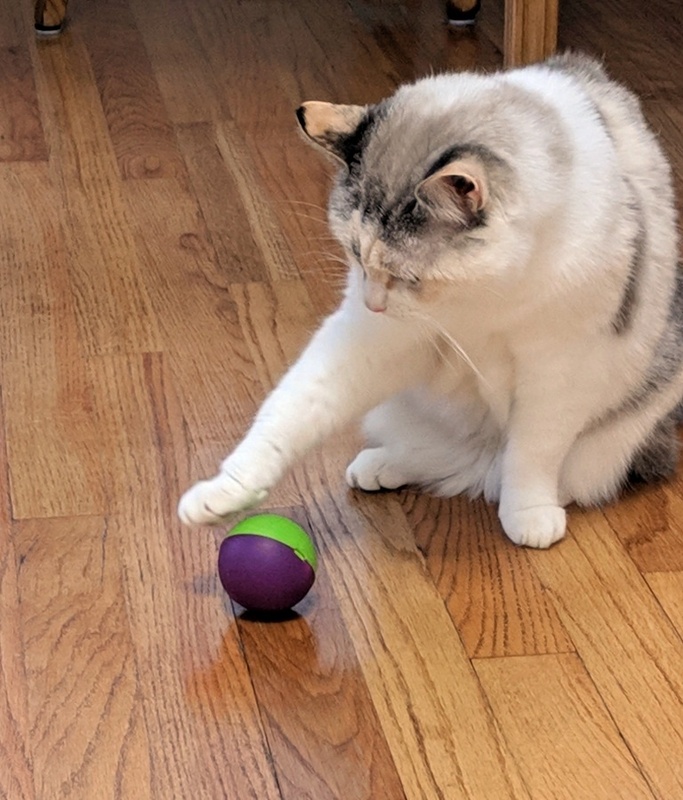 Zookeepers have known for years that big cats, including lions and tigers, react to some perfumes the way housecats react to catnip. They sniff and flemen and rub their faces on the scented spot. 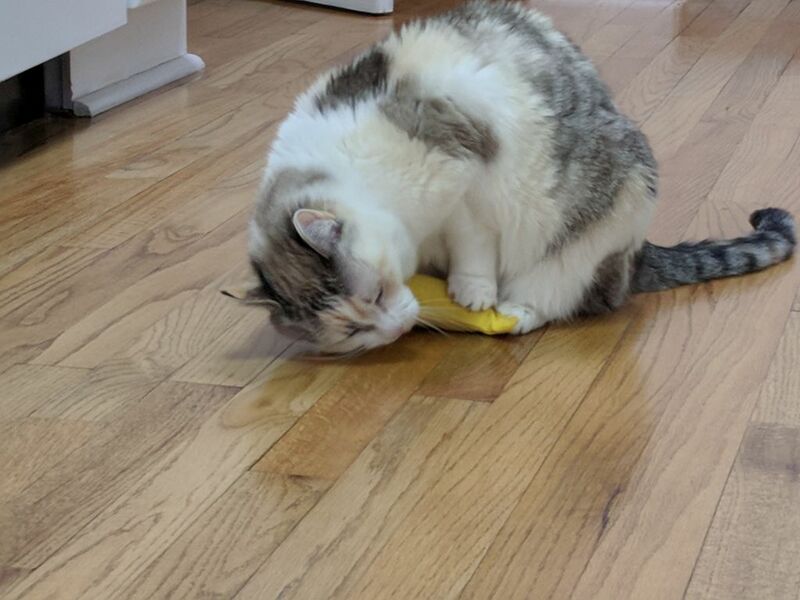 My cat Emmy shows how it’s done with her catnip toy. 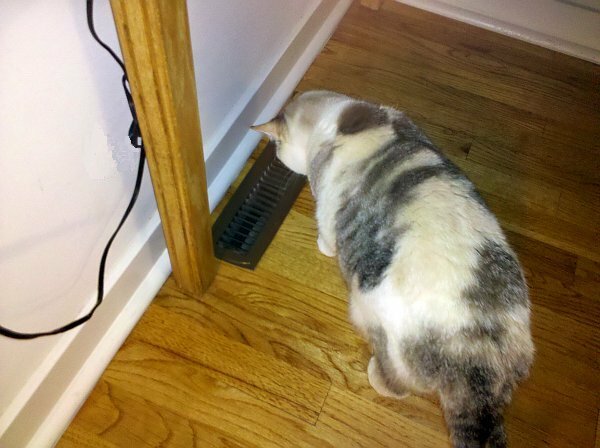 Instead of catnip the big cats prefer perfume and they don’t like the expensive stuff. Watch how perfume turns them on in this National Geographic video. Apparently Calvin Klein’s Obsession for Men is catnip for cheetahs. At the end of September the weather’s fine and there’s plenty to see outdoors. Goldenrod and asters are blooming but everything else has gone to seed, fruit, and nuts. 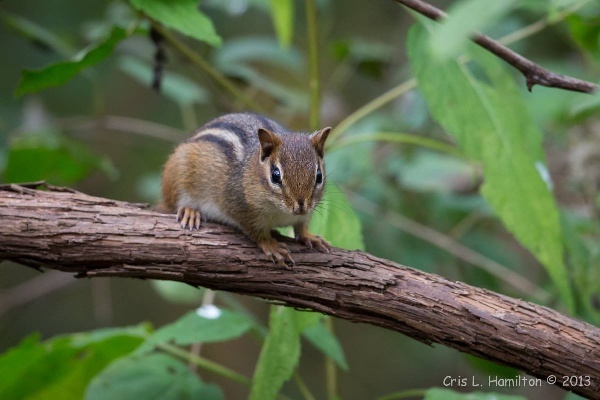 This is great news for chipmunks. Join me for a bird and nature walk in Schenley Park on Sunday, September 30, 8:30a – 10:30a. 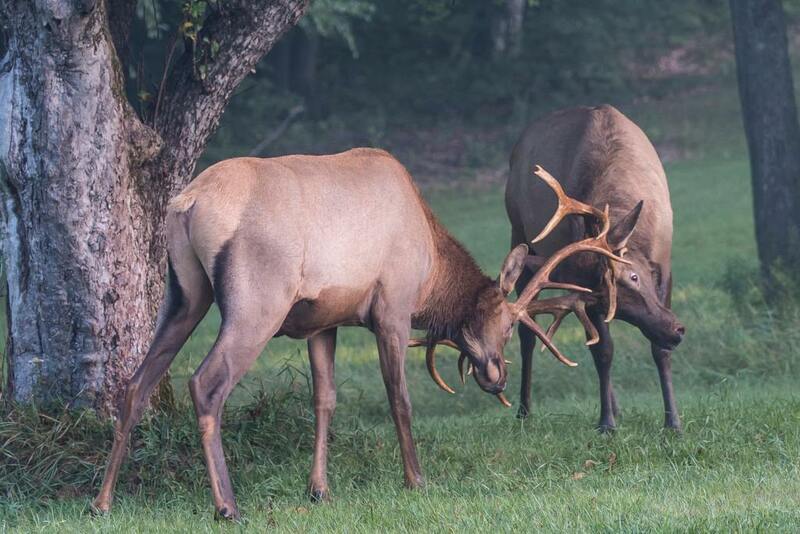 Meet at Bartlett Shelter on Bartlett Street near Panther Hollow Road. We’ll see birds, fall flowers, fruits, seeds, acorns and busy chipmunks. Before you come, visit my Events page in case of changes or cancellations.